Have you met Chimney Rock State Park's live animal ambassador, Grady? If not, February 2 is the perfect day to come out to the park to meet him. (He's a cute little guy.) 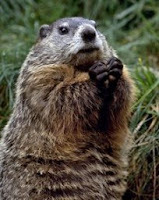 Grady gives Punxsutawney Phil a run for his money on Groundhog Day. Witness firsthand whether their winter weather predictions match or clash. February 2 from 11a.m. to 1p.m., anticipation builds as to whether Grady sees his shadow in the meadow, indicating six more weeks of winter, or whether we can look forward to the ushering in of spring. If you'd like, you can cast your vote now for whether Grady will see his shadow or not. Then check for the results on February 2. In addition, visitors can enjoy an educational program on groundhogs and other woodland creatures. There are also guided family hikes on the Great Woodland Adventure trail at noon and 12:30p.m. Kids can take part in Groundhog Day crafts from noon to 1p.m. The Groundhog Day program allows one free youth admission (ages 5-15) with each paid adult admission. Children under the age of five are admitted free-of-charge. Also in celebration of Groundhog Day, Chimney Rock State Park is offering a discount on the Grady's Kids Club membership. The membership is normally $10 but is reduced to $8 during the month of February. This annual pass allows visits to the park for 18 months, as well as additional park discounts in retail, dining, and events. Make sure you have enough time to enjoy all of Chimney Rock State Park and the surrounding Western North Carolina area by booking a mountain cabin conveniently and beautifully located near everything you want to see and do during your time here. You'll be perfectly situated near the park, close to unique towns like Black Mountain, and within a few miles of Asheville itself. Whether we have an extended winter or an early spring, Western North Carolina welcomes you and has plenty to offer any time of year, in any season. Make your mountain getaway plans now! We hope to see you soon! Spend some time in Asheville, and you'll see why it's been voted "Beer City USA" for four years in a row. (We're hoping for a fifth!) Asheville has more breweries per capita than most other US cities. Asheville is known not only for its quantity of beer but also its quality. 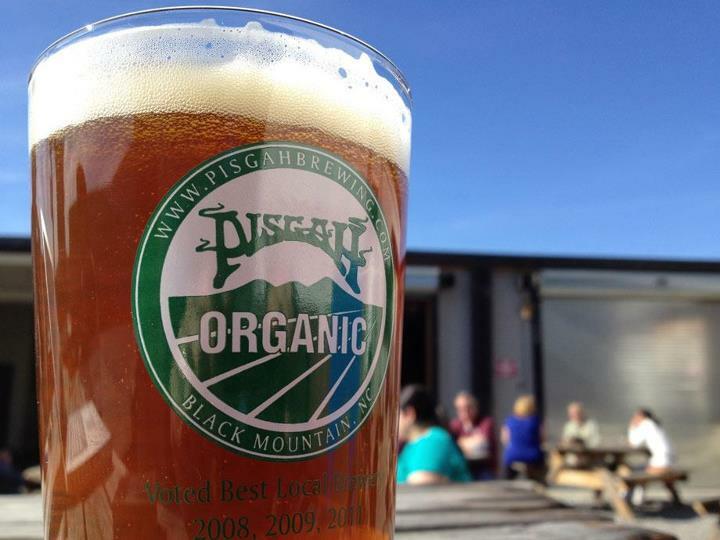 Just recently, Pisgah Brewery Company's India Pale Ale was rated the number one beer in the state of North Carolina. If all of this talk about beer is tantalizing your taste buds, there's good news. This weekend is the 6th Annual Winter Warmer Beer Festival at the Asheville Civic Center (US Cellular Center) co-hosted by Three Sheets Design, Brews Cruise Inc., and French Broad Brewing Company. Other local favorites found at the festival are Highland, Pisgah, Lexington Avenue Brewing, Southern Appalachian, MALT Homebrew Club, Heinzelmannchen brewing companies, as well as out-of-town breweries and new up-and-comers. The bad news is that at the writing of this blog, the Winter Warmer has already been sold out. This has happened for the past six years, so mark your calendars for next year and buy your tickets early! This event grows larger and more popular each year. As mentioned early, Asheville is hopping (literally) with plenty of places to enjoy a local brew or two. Find a nice downtown Asheville vacation rental to call your home for a few days, and plan a few pub crawls! Sample some of Asheville's finest as you explore the town and stop in to some local hot spots.We highly recommend it. If you'd like some brewery, tour, and tasting tips, visit ExploreAsheville.com's helpful listing of the local craft brew scene. Also, be sure to keep an eye out for new breweries opening in Asheville. Wicked Weed Brewing just opened last summer. It's located right next to The Orange Peel Club in downtown Asheville, so stop by and check it out. Also coming soon are New Belgium and Sierra Nevada brewery locations in Asheville. Stay tuned! 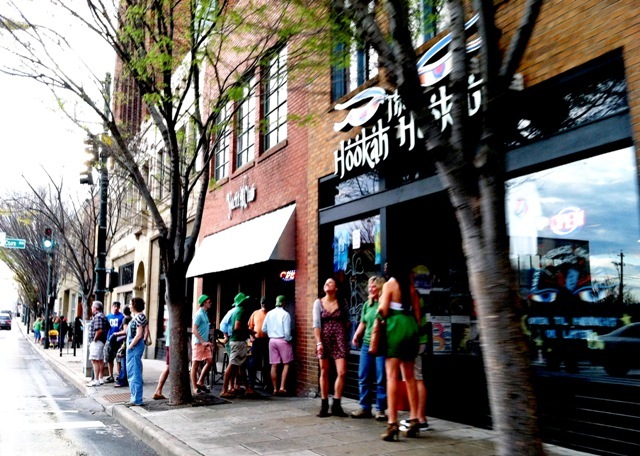 What are some of your favorite Asheville watering holes? Let us know in our comment section! Cheers! The Grove Park Inn Celebrates Its 100th Birthday This Year! The Grove Park Inn has an interesting history. Completed in July of 1913 and officially open for business on July 12, 1913, keynote speaker Secretary of State Williams Jennings Bryan proclaimed that The Grove Park Inn was "built for the ages". One hundred years later, those words continue to ring true today. The Grove Park Inn still draws crowds today, whether it's to stay in the historic hotel, dine in its fine restaurants, stroll the sprawling estate grounds, peruse the quaint shops, golf the championship course, spend a day at the spa, or just take in the panoramic views of Asheville itself. The month of January kicks off the birthday celebration with a Centennial Concert Series. Visitors can enjoy themed-weekends with loads of family fun scheduled throughout the upcoming months. The centennial celebration includes award-winning music, hilarious comedy shows, guided history tours, themed food and drink, and so much more. The 2013 Centennial Concert Series includes a Big Band/Swing Dance Weekend, an All That Jazz Weekend, a Celtic Adventure Weekend, and a Comedy Classic Weekend. Find big names throughout the concert series including the Glenn Miller Orchestra, Pat Metheny, Gaelic Storm, and Caroline Rhea... just to name a few. All of the Centennial Concert Series shows take place in The Grove Park Inn's Grand Ballroom. Doors open at 7:30p.m. and the shows begin at 8p.m. For ticket pricing, additional show information, and a full listing of perfomers, please visit The Grove Park Inn's Centennial Concert Series page. Also slated for the centennial celebration is a focus on the the Inn's farm-to-table cuisine with events such as the The Centennial Celebrity Chef Summer Series and the Turn Back Time as You Dine. The Summer Series features guest celebrity chefs, their specially designed menus, farm tours, book signings and more. Turn Back Time as You Dine focuses on retro-inspired menus from The Grove Park Inn's original 1913 courses. The subterranean world-class spa at the Inn plans to feature a series of health and wellness events which will host nationally acclaimed wellness authors and teachers, spa cuisine cooking demos, spa treatments, heath and wellness consultations, and more. Also plan for a spectacular centennial celebration during its birthday month in July, including a Fourth of July grand event. Finally as a special invitation to centenarians, The Grove Park Inn is offering a We're Turning 100 Together package. The resort offers 2-night accommodations including daily breakfast and complimentary dinner to anyone celebrating 100-years-of-age in 2013! Make your stay in Asheville like a home-away-from-home by choosing a local vacation rental with the perfect amenities to suit your needs. Be close and convenient to The Grove Park Inn, as well as all of the other local Asheville attractions. Make your Asheville getaway plans today! Have you been to The Grove Park Inn? What did you enjoy most during your visit there? Tell us about it in our comment section! Music of all genres can be found in the eclectic mix of styles found on the streets and in the local clubs of Asheville. USA Today recently wrote an article featuring live music as number one on a list of top ten reasons to visit Asheville. This weekend is no different. Check out some of the musical stylings that can be found locally this coming weekend. Slated as America's top Pink Floyd show, The Machine has a 20-year reputation for excellent performances and the legacy of Pink Floyd reincarnated. They are known for performing a diverse mix of Pink Floyd's extensive 16-album repertoire, which includes a range of renditions from popular hits to the more obscure songs not often heard. The Machine combines professional musicianship with dramatic lighting and video, which is only enhanced by their passionate delivery. These three qualities are what make them a crowd favorite. Over the years they have performed all over selling out clubs, theaters, and casinos throughout the world. The Machine is a New York based band with a focus on the fans. The Machine performs at The Orange Peel on Thursday, January 10. Doors open at 8p.m. and the show begins at 9p.m. Tickets are $15 in advance, $17 the day of the show. You can order advance tickets for The Machine here. Two of Asheville's favorite bands in one place! Vertigo Jazz Project and The Archrivals come together for an all-out celebration centered around the birthday of The Archrivals' singer and pianist. 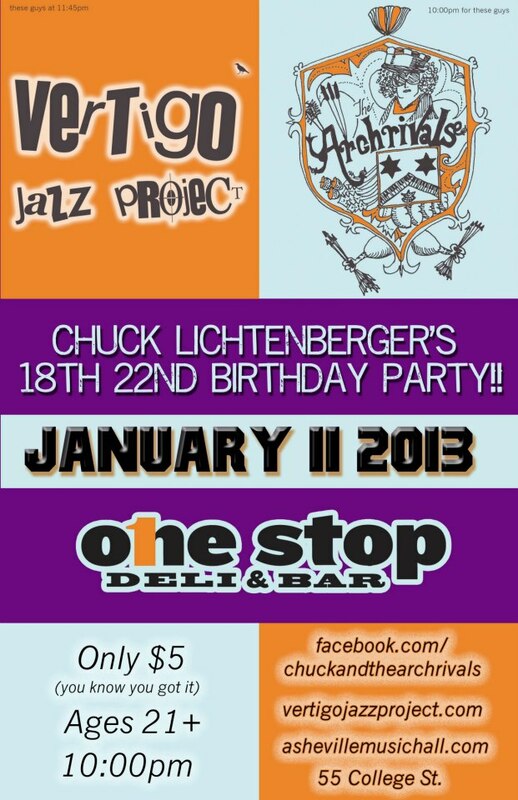 Join in the celebration on Friday, January 11 at the One Stop Deli & Bar on College Street in Asheville. The doors open at 9p.m. and the show starts at 10p.m. Admission is only $5. Vertigo Jazz is a power trio of guitar, bass, and drums. They recently finished recording their third album entitled "This is Rock?" set for release in March. They have toured throughout the Southeast as well as locally at the LAAFF in downtown Asheville and the annual Asheville Improvisational Music Festival. Each of the members has a diverse background which comes together to make one fabulous band. The Archrivals are known for a blend of jazz and rock influences with some pop thrown in to boot, and a good dose of humor. They perform a visually and sonically captivating show that's sure to please. The Steep Canyon Rangers recently released a collaborative record with Steve Martin, "Rare Bird Alert", which debuted at #1 on the Billboard's Bluegrass Chart. The group has other hits on the charts and has headlined for various festivals nationwide. They have also appeared on television alongside Steve Martin on "Late Night with David Letterman", "The Colbert Report", and "Austin City Limits". The Steep Canyon Rangers are known for their smooth vocals, smart songwriting, ferocious instrumentals, and jaw-dropping harmony. They love to bring Bluegrass to music lovers around the world. Come and experience the performance for yourself at The Orange Peel in Asheville. Doors open at 8p.m. and the show starts at 9p.m. Tickets are $20 in advance, $22 the day of the show. Advance ticket purchases for the Steep Canyon Rangers can be found here. 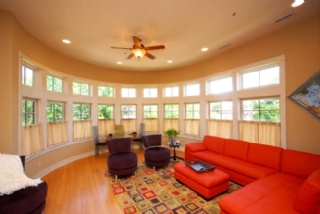 Make your visit to Asheville an extended stay by enjoying a vacation rental right in the heart of Asheville. Be close and convenient to all of the action! Asheville welcomes you. Have you been to the Orange Peel Club or any of Asheville's other musical venues? Who was performing? How did you like the show? Tell us about it in our comment section! The holidays are over but winter fun is in full swing in Western North Carolina. The great part about vacationing in the Asheville and Western North Carolina area is that visitors can enjoy the ease of travel and mostly snow-free terrain of the lower elevations of Asheville, while being close to the snow-covered mountains and slopes of Western North Carolina. How Far Are the Slopes from Asheville? It's about a 30 to 45 minute drive from Asheville to the nearest slopes. Elevations of over 5,500 feet (some of the highest mountain peaks east of the Mississippi River) can be found within in an hour's drive of Asheville. Skiers, snowboarders, and snow tubers delight in the winter wonderland found here in Western North Carolina. Where Are the Nearest Slopes to Asheville? Maggie Valley offers the Cataloochee Ski Area which boasts 16 slopes, three lifts, one rope tow, and one magic carpet lift. 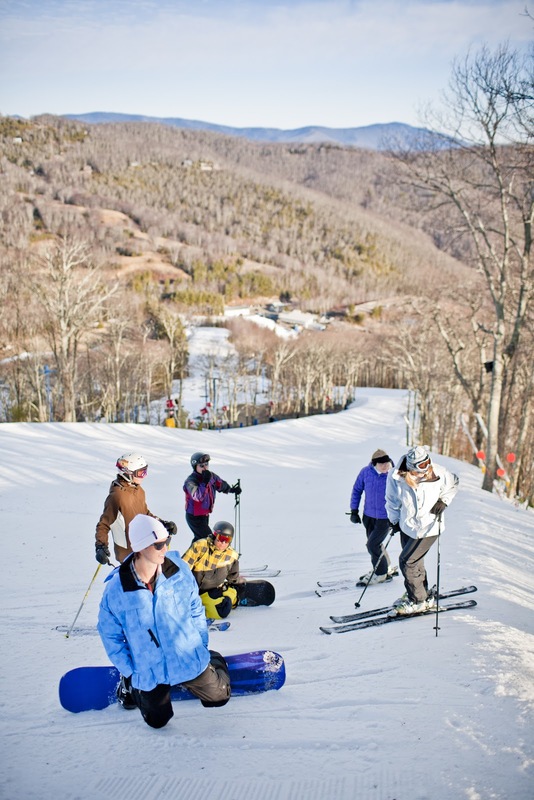 The Cataloochee Ski Area draws skiers and snowboarders alike to its slippery slopes. Also located in Maggie Valley is Tube World which offers six slopes and one children's tubing area. Tube World offers snow tubing only, not skiing. 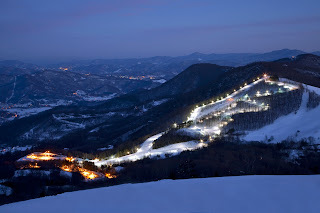 Wolf Ridge Ski Resort is located in Mars Hill and gives visitors access to 15 slopes, four lifts, and tubing off-site. The resort offers skiing, snowboarding, and snow tubing. You can find weekly winter ski reports here. Check out this valuable resource before planning your day on the slopes! All of the above mentioned are located within 45 minutes of Asheville making them the perfect choices for your days spent here. After some time on the slopes, come back to the warmth of your cozy mountain cabin and enjoy some hot cocoa by the fire or a enjoy a long soak in the hot tub. 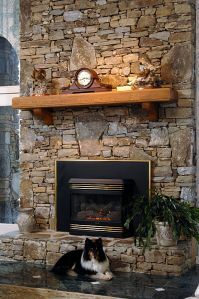 If you prefer to be closer to Asheville, choose a lovely vacation rental situated near the heart of downtown. After spending your day on the mountain, spend your evening at a trendy local restaurant or enjoy a hot toddy at a local watering hole. Warm up at one of the local coffee shops with a cup of your favorite Joe or take the kids out for a hot chocolate with all the fixings. You can find it all here in downtown Asheville. Do you have any plans to spend part of your winter in Western North Carolina? If so, tell us about it in our comment section. When are you coming? What do you plan to do? We always love hearing from you! Happy Winter!